Rosalind Wates has written a book entitled ‘The Mosaic Decorator’s Sourcebook’ which features over 100 mosaic designs to inspire the reader as well as a section providing technical advice and information. It is published by David & Charles and costs £15.99 in the UK. 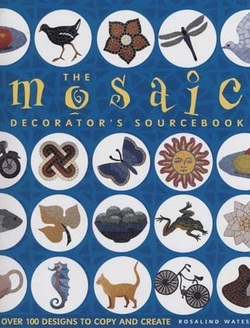 In America it is entitled ‘The Mosaic Idea Book’, is published by North Light Books, and costs $24.99.